The Atlanta Police Department is also preparing for unrest in the aftermath of the Grand Jury verdict in the case of Officer Darren Wilson, which is expected to be announced this weekend. The grand jury’s decision on the police shooting that killed an unarmed teen in Ferguson, Missouri last August is expected any day now. Among those keeping a close eye on the decision are police departments all across the country, including here in Atlanta. 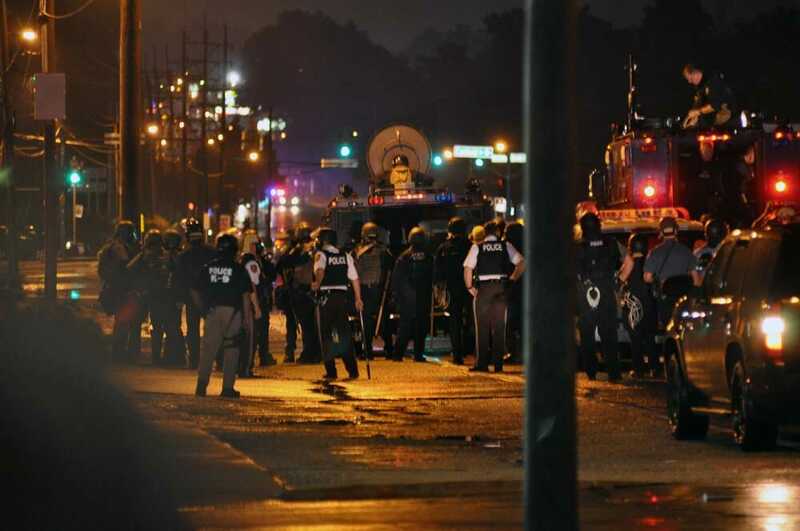 The scene in Ferguson in the days after Officer Darren Wilson killed 18 year-old Michael Brown was both frightening and dangerous. Police patrolled the streets in riot gear, confronting angry demonstrators who converged by the thousands. The scene was eerily similar in Atlanta back in 2011. Police donned riot gear at that time to confront angry demonstrators from the Occupy Movement, who defied an order to leave the tent city they had built at Woodruff Park. Crowd control in the city is not new, and while the show of force back then outraged many, it also quelled the protest before it could get out of hand. APD is hoping that won’t be necessary this time around.